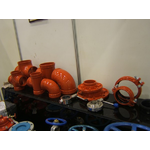 Qingdao Hedelong Machinery Co., Ltd, founded in 2004, is an ISO9001 certified manufacturer and exporter of cast iron products such as valves, trench grate, pipe fittings, engineering machinery parts and auto parts in China. 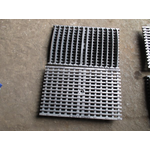 And our products are applied in oilfield industry, construction, flow control, sewage treatment, chemical industry, municipal industry and cars and so on. We are located in Tianzhuang foundry industrial area, Pingdu city covering 30,000 square meters with 106 workers including 8 technicians. 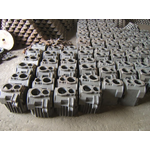 The main processes are resin sand process, clay-bonded sand process and precoated sand process. Furthermore, the annual production of resin sand production line is up to 6,000 ton which can guarantee the massive production for our customers. 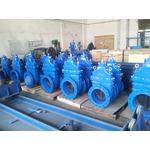 And the valve design and manufacturing is as per API 6D, BS 5157, ASME B 16.34. Sand mixer, shakeout machine, vertical & horizontal turning lathe, vertical milling machine together with testing equipment metalloscope, C&S analysis and tension meter also with electrostatic spraying equipment all contribute to excellent and reliable quality. With strong R&D team and technicians who have more than 20 years’ experience in casting area, we provide OEM and ODM service for customers. 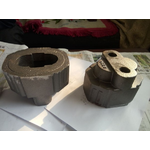 And we provide customers tooling and fixture/gauge design service. We warmly welcome you to come to our factory and cooperate with us. 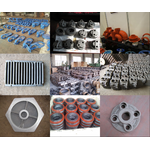 Manufacturer of cast iron machinery parts, such as pump parts, valves, pipe fittings, trench grate, construction engineering parts, auto parts and so on.